A couple of weeks ago, I attended the MIT CDOIQ Symposium in Cambridge, MA. This annual gathering of Chief Data Officers (CDOs) and other data leaders from a variety of companies and industries is always one of the highlights of my conference calendar. It is a focused time of learning and sharing among a community that is pushing the envelope in consequential ways in the enterprise, the military, and higher education. In this post, I’ll summarize the discussion around each of these themes and share some of the highlights that have stuck with me. In our report on the landscape of the CDO role, I described how the first CDOs were minted to oversee data governance and compliance with regulatory laws in industries such as finance and healthcare, where the abundance of personally identifiable information (PII) makes data particularly sensitive. I called this “the stick,” comparing it to “the carrot” of new revenue streams, efficiencies, and revenue opportunities becoming possible in the age of digital customer interactions. This same idea of shifting perspective from stick to carrot is being expressed more and more widely now—and at the MIT CDOIQ Symposium, I heard it expressed repeatedly as a shift from playing defense to playing offense. Milind Kamkolkar, CDO of Sanofi, was one of the speakers to use this phrase. He sees his mission as empowering Sanofi to monetize data and insights at an industrial scale. Part of what that means is building the capability not only to investigate new opportunities, but also to move those investigation results from pilot projects into full-scale production. We have written about this before (borrowing language from Thomas C. Redman and Bill Sweeney) as moving from the Lab to the Factory. In a panel session, however, Venkat Varadachary, CDO of American Express, pointed out that defense and offense don’t have to be entirely separate. “Regulators and internal auditors do ask good questions, and push our thinking in ways that transfer to our other efforts,” he said. Christina Clark, CDO of GE and another member of the panel session, agreed. “Fundamentals still matter,” she said, so defense and offense don’t have to exist in opposition to one another. Still, the trend I saw over the course of the Symposium represented a growing awareness among CDOs and other data leaders that—as important as governance and compliance are—the potential of data to impact the bottom line of a business is huge, and significant part of their role needs to be focused on driving new value for their companies with data. This brings me to the second big trend I saw: the need to represent data as a company asset on the balance sheet. If you’re going to use data to drive value for the business, then it needs to be accounted for. Of course, how to do this data valuation is still a very open question. But the need to do it is gaining traction with data leaders across multiple sectors. In a panel on CDOs in the Boardroom, Joan Del Bianco, SVP in the Head U.S. Office of the Chief Data Officer at TD Bank, and Brandon Thomas, CDO of Zions Bankcorporation, discussed how they’re reporting to their respective stakeholders. Thomas in particular described how he had recently been given a brief timeslot to present at the regular board meeting on his activities for the quarter. In his allotted minutes, he focused on traditional metrics. “Is that your data strategy?” he was asked. Of course a few metrics didn’t begin to cover his actual strategy, but the fact that his board was aware and curious for details in an interesting signal. Part of the need to represent data on the balance sheet is so companies can make informed decisions about how to invest in its cultivation and use. As several different attendees pointed out in the event’s roundtable discussions, there is often a delay between being data exploration and experimentation (the Lab), and shifting that into production mode (the Factory), so helping stakeholders understand longer-term ROI and why those investments are still worth making is easier when data can be counted as a durable asset. Sports metaphors are all over the business world, but I’m used to encountering them in the form of “at-bats” or “slam dunks.” I was intrigued to notice this same metaphor of a pit crew from the slightly more obscure sport of car-racing used by at least two speakers. The metaphor points to the game-winning strategy of building a holistic and highly-coordinated team. For CDOs, this means that it’s not enough to hire a bunch of really smart data scientists—the best work happens when each team member has a specialized role and operates in a culture of cooperation. Kamkolkar, CDO of Sanofi, spoke about how he has embraced the holistic team concept by hiring not only data scientists and engineers but also journalists, designers, and even an anthropologist. They contribute important skills and expertise to the team in order to help create “delightful information engagement experiences”—views into the data that help promote data literacy and contribute to the culture change necessary for any organization to become more data-driven. These team members also play a crucial role in ensuring that artificial intelligence and machine learning are used in ethical ways. There are still lots of ways to be a CDO, and the position looks different from organization to organization. There is still no standard reporting structure, for instance. 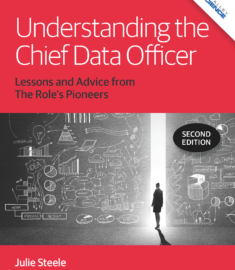 And not all CDOs even hold that particular title—there are many data leaders who perform CDO-like functions under a different name. However, the most interesting part of observing these three particular trends at this year’s MIT CDOIQ Symposium was the emergence of consensus they represent. Regardless of industry, size, maturity, or a variety of other organizational factors, CDOs are converging around some core ideas of what their role is—and what that means for their mission. These are the importance of data for adding new business value, the importance of reporting that value accurately to their respective boards and other stakeholders, and the importance of forming diverse and holistic teams in order to maximize and execute on delivery of that value. Julie thinks in metaphors and finds beauty in the clear communication of ideas. 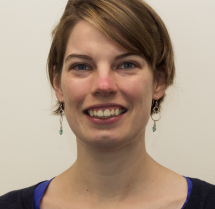 She is co-author of Beautiful Visualization (O’Reilly 2010) and Designing Data Visualizations (O’Reilly 2011).